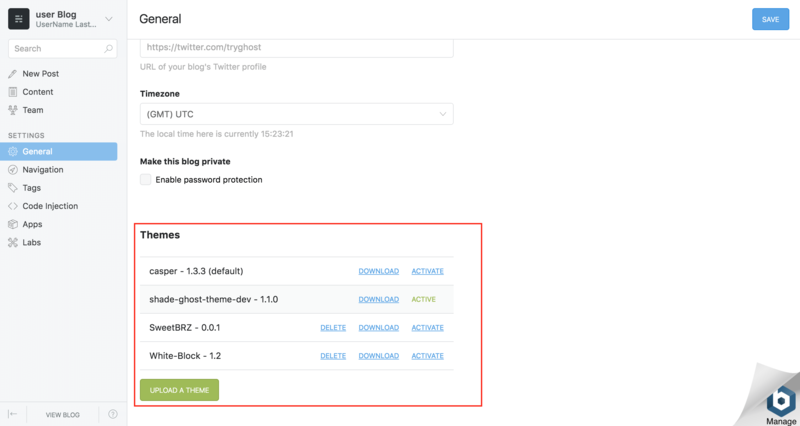 Ghost themes live in the /opt/bitnami/apps/ghost/htdocs/content/themes directory and are also available in Ghost Marketplace. Log in to your application, and navigate to “Settings -> General”. Select your theme name and click the “Save” button. Download the theme in Ghost Marketplace. Log into the application and navigate to “Settings -> General” section. Scroll down to the bottom of the page. 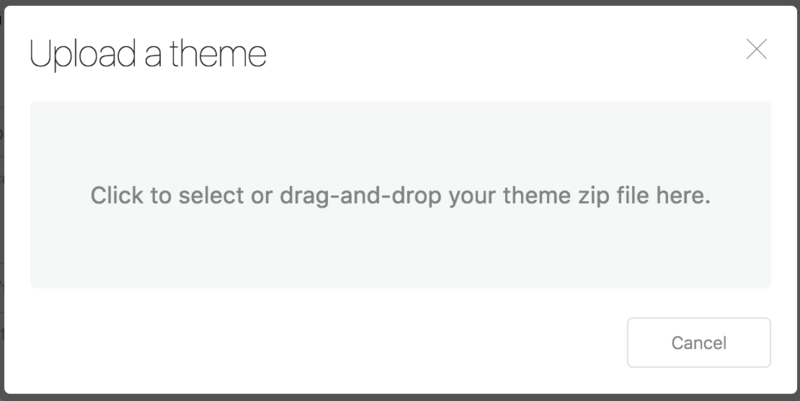 Click the “Upload a theme” button. Browse to the .zip file in your computer and drag and drop to upload it. Wait until the upload is complete. You will see a confirmation message. Click the “Activate now” button if you want to activate the theme. Click the “Close” button to exit. The new theme is displayed in the “Themes” section. Select the theme in the list and click the action you want to perform.